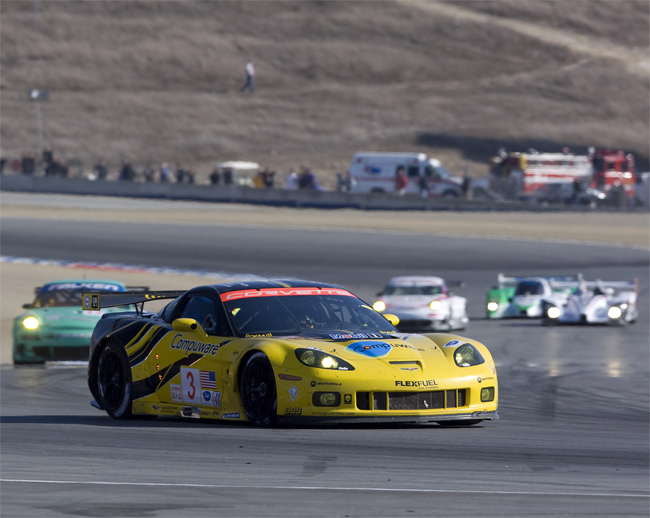 Corvette Racing scored its fifth podium finish in five races with GT2 Corvette C6.R. 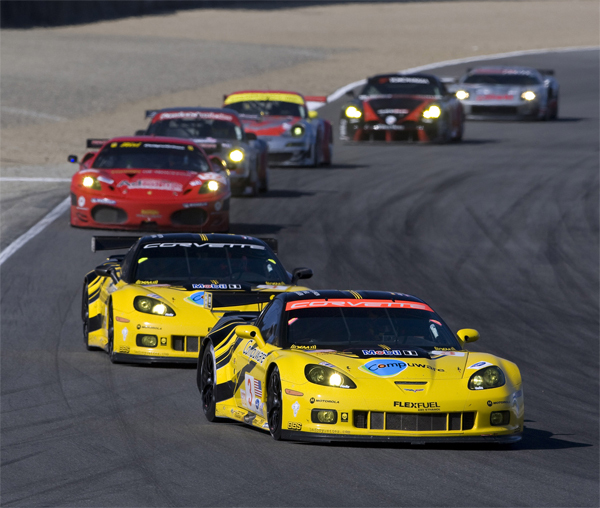 Teammates Jan Magnussen and Johnny O’Connell were runners-up in the season ending Monterey Sports Car Championships at Mazda Raceway Laguna Seca. 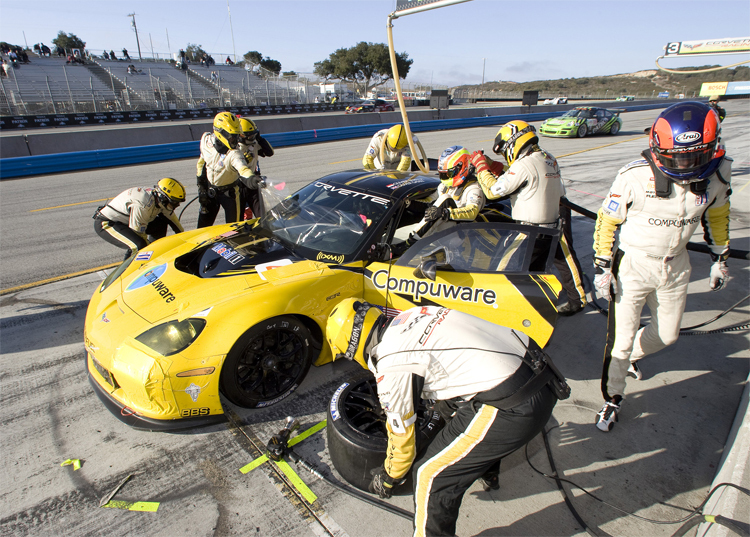 After qualifying first and third, twin Corvettes ran one-two until the first round of pit stops during the ALMS season finale at Laguna Seca, photo by GM Corp.
Corvette Racing pit crew works on Corvette C6.R at Mazda Raceway Laguna Seca in Monterey, California, photo by GM Corp. The American Le Mans Series race ended as Magnussen spun across the track and hit a wall in the No. 3 Compuware Corvette C6.R. The Danish driver was examined and released from the trackside medical center after his encounter with the concrete barrier. The Corvette’s safety systems and energy-absorbing structure performed as designed during the impact. 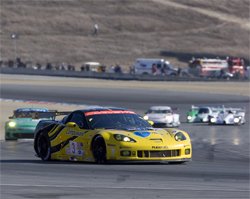 Corvette Racing scored its fifth podium finish in five races with GT2 Corvette C6.R, photo by GM Corp.
Corvette Racing's next event is the season opening Mobile 1 Twelve Hours of Sebring in Sebring, Florida in March of 2010, photo by GM Corp. The finish capped off a battle between the No. 3 Corvette and the No. 45 Flying Lizard Porsche driven by Patrick Long and Joerg Bergmeister. Magnussen had cut down the lead of the class leading Porsche in the final 50 minutes of the four hour race. With the checkered flag on display for the winner, the Corvette and Porsche had contact in the final corner and raced side-by-side to the finish line. In the end, the No. 45 Porsche was credited with a 1.037 second victory over the No. 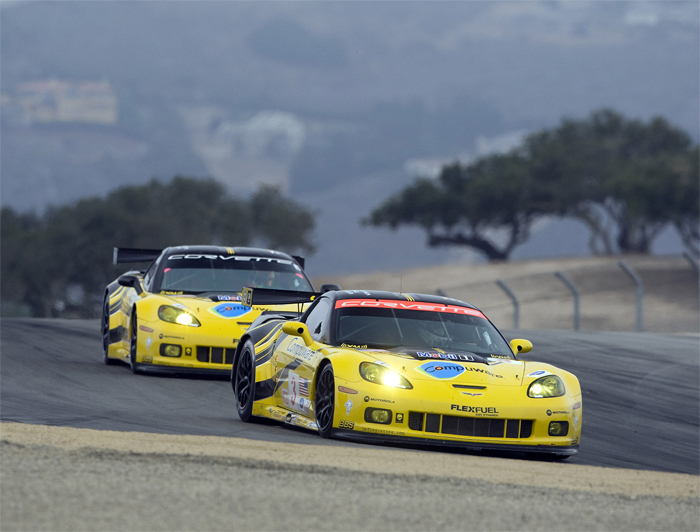 3 Corvette C6.R and Corvette Racing scored its fifth podium finish in five races since moving to the GT2 category. The No. 5 Compuware Corvette C6.R of Oliver Gavin and Olivier Beretta finished 10th, 12 laps down to the leader after hard contact in a restart at the one-hour mark. After qualifying first and third, the twin Corvettes had been running one-two until the first round of pit stops during the second caution period. 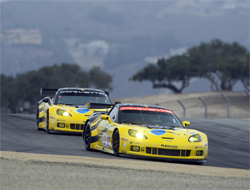 Corvette Racing’s next event is the season opening Mobil 1 Twelve Hours of Sebring in Sebring, Florida on March 20, 2010.